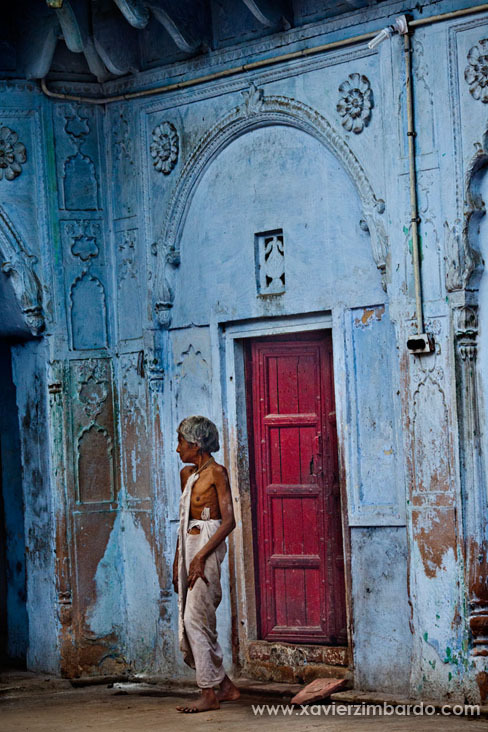 VRINDAVAN, INDIA – MARCH 29: A mentally unfit widow stands and looks on in Meera Sehbhagini Mahila Ashray Sadan in Vrindavan in the northern Indian state of Uttar Pradesh, on March 29, 2013 in Mathura, India. She is not able to dress herself up properly. The widow is under treatment. While many widows could be seen quite integrated to the community of other inmates, and in happy companionship, a few lead a lonely life. Emotional breakdown in some cases and mental derangement in a few are not uncommon. Historically, they generally faced contempt from the families of their in-laws and community at large, who would attribute their men’s death to themselves, believed to have brought bad luck to the families. They led, and in several places in the country still lead a lonely life.